When it comes to supporting elephants and conservation in Africa, Jim Justus Nyamu absolutely walks the walk. He has, in fact, walked more than 7,500 miles in Kenya and since 2013 walked more than 6,000 miles globally (including one Boston-to-DC jaunt) in support of elephant-oriented causes. The executive director of the Kenya-based Elephants Neighbors Center (ENC) is currently in the midst of one of his most ambitious endeavors yet: a walk that will take him 2,600 miles from Nairobi through six countries -- through Tanzania, Zambia, Zimbabwe, Botswana and ending in South Africa -- all to call attention to the plight of the African elephant. According to data on the ENC website, the African elephant population dropped from 472,269 to 401,732 between 2006 and 2013. ENC attributes the drop in numbers primarily to illegal poaching. So Nyamu -- who also leads the "Ivory Belongs to Elephants" movement -- kicked off an awareness campaign by tying his shoes and grabbing his passport. 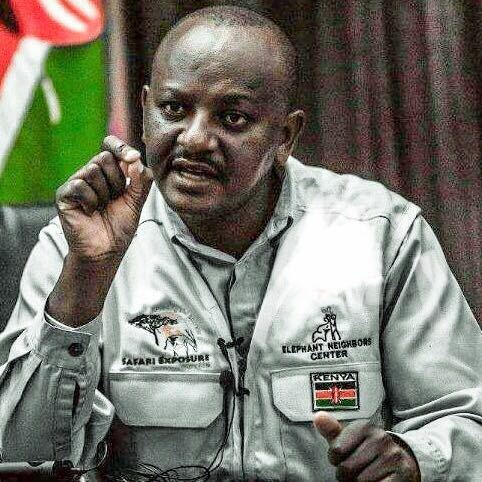 He started the "East-Southern Africa Elephant Walk" last month at the Kenyatta International Conference Centre in Kenya’s capital and plans to be on the road through December. 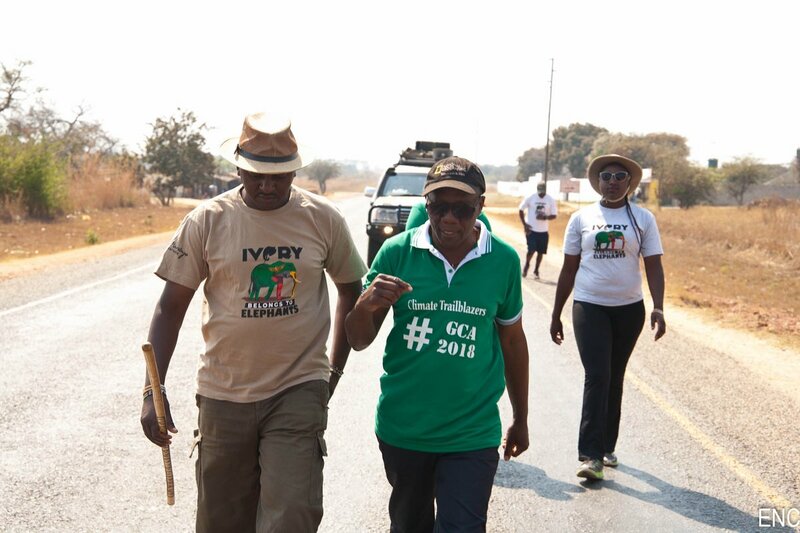 The Nigerian newspaper Pulse NG notes that "his trek comes at a time when the elephant corridor is experiencing rapid depletion of elephants due to an increased demand for wildlife trophies in China, America, and Europe." His home-country newspaper The Nation notes that Nyamu is a trained research scientist whose "love for elephants began when his uncle brought home a wildlife magazine when he was just 14." Nyamu is one of Moving Giants' "Elephant Champions," and we are cheering him on! Follow his journey on Twitter and Facebook.